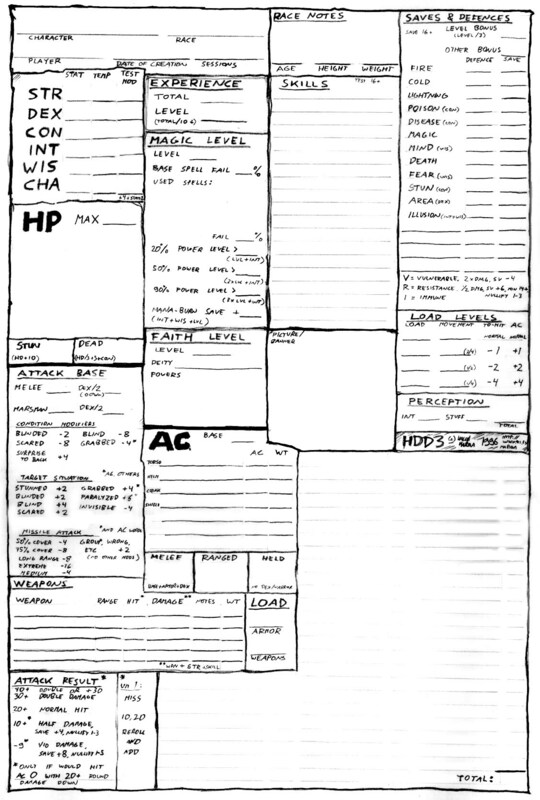 HDD3 is a very simplified and streamlined fantasy RPG system designed for idiotic hack'n'slash emphasized adventures in unrealistic fantasy settings a bit like ad&d and similar worlds. Attributes in HDD3 are quite alike to D&D and Nethack to allow some compatibility, but are far easier to use and remember. Note: if you are going to play very high-level adventures with lots of epic battles, I recommend making yourself familiar with edd2, epic dungeons&dragons. See also my other games, with links available at main index and onward. HDD3 RPG system (c) Kalle Marjola 1996-97. All rights reserved.